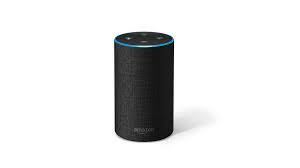 UU A Way Of Life: Ask Alexa - Why is there no advertising on the UU A Way Of Life blog? Ask Alexa - Why is there no advertising on the UU A Way Of Life blog? Alexa: Why is there no advertising on the UU A Way Of Life blog? Because it is sacred space and operates on the path of the spirit not on the path of the ego. I love the blog. Visit almost every day. It's become a source of ideas for my spiritual life. It is a sacred space which I am grateful for.